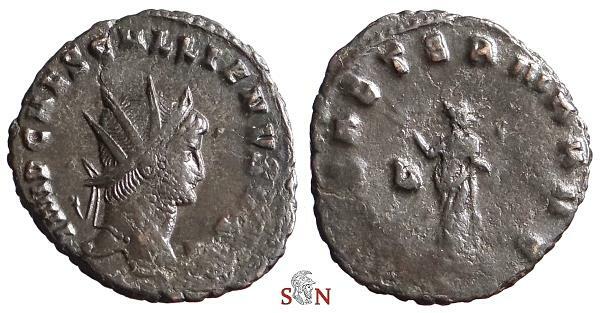 Gallienus Antoninianus, struck AD 265-267 at Rome mint. Obv: IMP CAES GALLIENVS AVG, radiate head right. Rev: PAX AETERNA AVG / Δ (in left field), Pax stg. left, holding branch and sceptre.